We are currently on a trip through the Northwest. I have begun noticing that my basement air is only working sporadically. The fan doesn't always come on, one unit starts and the other one doesn't, etc. I am thinking of pulling the whole thing out when I get home and trying to fix it. Has anyone done this themselves before? It seems like I have read posts about it on here. I need some suggestions. Thanks. Our coach is pretty close to the physical makeup of yours so, the R & R of that basement air should be close to identical. Duner (Bill) did a fantastic writeup on the removal of it and, some of the mods or, repairs to it that makes it seriously better. I pretty much went by his instructions and for the most part, it was breeze to get it out. The unit itself, sits on a "cradle". The ducting is attached using about 6 or so, small, Phillips screws that can be the worst part of getting that unit out. You see, there's not that much room for a Phillips type driver to get in there and get them out. But, the very first thing to do is, unscrew the four screws, two on the side where the batteries are and two underneath for that leuvered panel. It's on a hinge just like the compartment doors but, there' no gas strut to hold it up, once all the screws are out. I just taped it to the walls of the coach with duct tape. Then, I attacked the screws for the duct work. Once all the screws are out, that duct work will tilt back, towards the rear of the coach, just enough. Now, there's four, 1/2" x 13 x 3" bolts that secure that cradle. The nuts that work with the bolts, are welded to the frame. 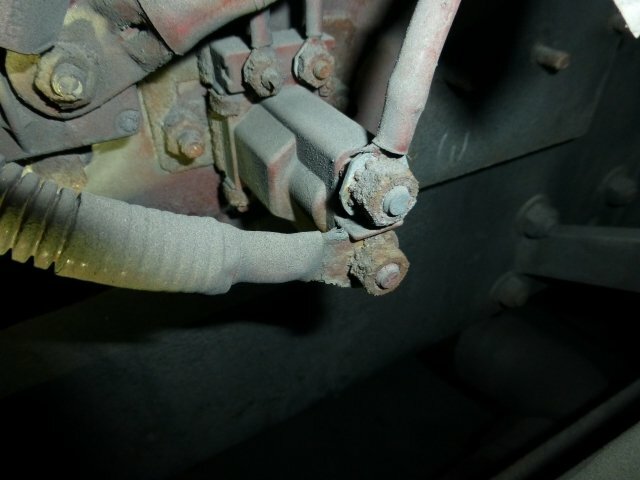 As you loosen and start to remove each of the bolts, one at a time, a little at a time, you'll see that cradle, and the A/C unit, start to drop. Then, when you've got it low enough for the top edge of the A/C unit to clear the hinge of the leuvered panel, then you can litterally slide that entire unit out of it's capture, and onto some sawhorses or, what ever you've built to be at the same level as the A/C unit will be when it slide out of the coach. Don't worry about the electrical lines, they've actually thought this one out and gave you plenty of line so that, that entire unit can be on a set of saw horses, outside of the coach and, you can bench test it while it's out. Now, from that point, you'll figure out what's next to do what you think needs to be done. When it comes time to re-install it, everything is of course, reversed. But, one thing here. I replaced those Phillips screws for the ducting, with Hex head TEK screws, MUCH EASIER to lock onto with a socket than those ding-a-ling Phillips screws. And, the bearings for the fan(s) are those ancient bronze bushings that you're supposed to pull up the little cap and "oil" them once a year, yeah sure we all do that. But, anyway, I replace that one bushing with a permanent sealed bearing from Graingers for about $19.00 bucks or so. Easy job and, seriously quieter operation. Good luck. I am going thru that with mine right now. I have it out sitting on blocks. My outside fan motor would not come on, so I replaced the capacitor and that seemed to do the trick. 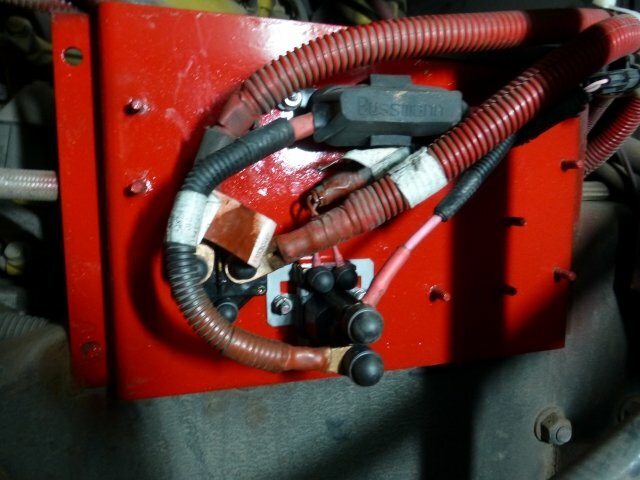 While I was at it, I replaced ALL the compressor start/run and both motor start capacitors; they are inexpensive so while it was out I just decided to do that. You can leave the unit connected to the wiring, there is enough length to remove it and set it outside. I would start by replacing all those capacitors, given the age, then while it is out, fire it up and see what you get then. Barry & Sue Miller("extended" RVer's, 6 mos + per/year) combined trips. 04 Journey 39K, C-7, 330 hp, towing: 02 Dakota 4X or 2013 Ford Edge AWD, Aero 5050XL, ReadyBrake. Where are those bushings and oil caps? Are they accessible without pulling the air conditioner out of the coach? Couldn't find anything about them in the manuals. Here's Duner's procedure. Hope the link works. In Duners link that the previous poster linked, you can see those bushing cradles and little caps in pages 14, and 15 and one or two more. They are incredibly simple to replace and the replacement bearing is the exact size you need. I'll try and dig up the part number. 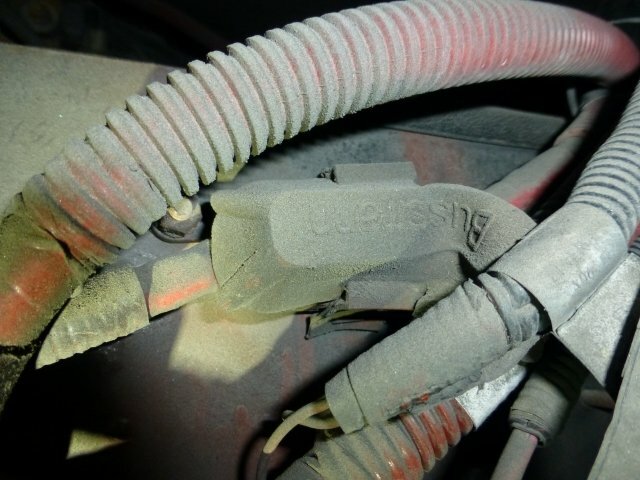 When you have it out, check that all the electrical push connectors are clean and tight. I had a loose connection at one of the reversing valves and had to pull the whole unit out to repair it. 2011 & 2012 Len & Pat's "One lap of America"
Ramzfan, more thoughts. The thing one needs to know about the Coleman-Mach basement air, is that they don't make that unit anymore. Parts tend to be hard to find, other than the standard stuff like capacitors. That unit has two blower motors, an inside blower(pumps the air into the coach) and an outside blower which just pulls the air thru the coils you see from the outside(condensor, I think it's called). The inside blower is completely sealed in its own half of the unit and stays clean. The outside blower must bring in air from the coils and expel it beneath the unit. At the same time, it is sucking in any dirt in the air and it gets in the ends of the motor and tends to wear the motor bearings out prematurely. I've had two basement a/c's and each outside blower motor has lasted about 5-6 years then you begin to hear a rattleing sound from the unit and that is the bearings wearing out in the outside blower motor. Now, I suppose the longevity of the blower depends on how much one uses the ac and heat pump, but we average 10K mi. per year, so it gets used alot. My outside blower right now is fine, but given the fact that I had to replace it 6 years ago, we decided that as long as the unit is out, I'd replace it now as I don't want to be somewhere where I am at the mercy of a repair shop and their $$$$$. With the fact that they don't make this model anymore and parts are getting scarce, their is a complete replacement unit from AirExcel available. It has about the same BTU's as the existing unit, but the overall dimensions are a tad smaller and the duct for the air output is located in a slightly different spot on the unit, but it could be adapted to fit our space. I checked this out last year when I THOUGHT I had a major malfunction, but it was a false alarm. We were heading to the the east coast in June and there was no way I was leaving CA w/o a working a/c. As FIREUP said, getting the unit out is very easy. After following his steps for freeing it up, I just used an old flat furniture dolly and built it up with wood to the height of the bottom of the unit and slid it right out on to it. I used the coach levelers to fine tune the height for removal. If you've any questions during your escapade, you can PM me and perhaps I can lend some assistance. It should do the same thing every time. The slide switch on the thermostat may need to be cleaned. I think the center bearing they use was an idea to keep the fans from bouncing around when in use while driving. They have a Cotton wick inside them that seeps oil past the brass. Any residential ac service guy can work on it after you slide it out and can get non oem parts to work on it easily. Ours works great and is quiet. 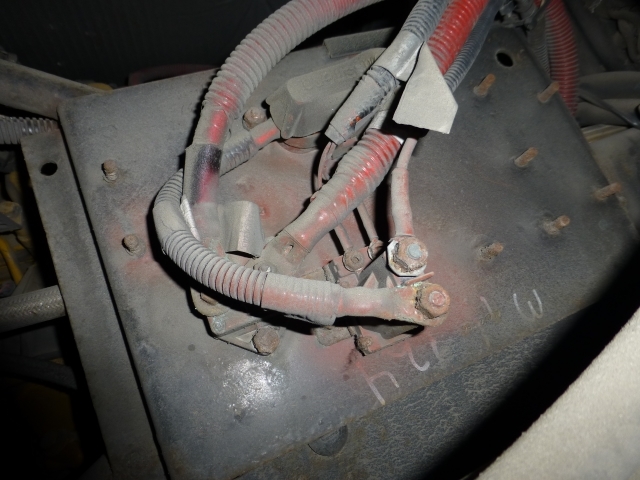 Also check out this post where my Intellitec was preventing my compressor #2 from starting. After this bypass fix, the AC ran fine through 113 degree temps in California in July. When putting the unit back into the coach follow Fire Up,s advice and use hex head bolts to reattach the duct. The most difficult part of removal is loosening the phillips head screws holding the duct onto the unit. A right angle (S type) phillips head screw driver helped to remove the screws. What a GREAT bunch of answers! Thanks guys. I am still on my trip but luckily, it's not too hot and we can suffer through most of the days. I am definitely going to do this when I get back and will probably be contacting some of you with questions. Thanks again! As you can see, lot's of help from good folks on here. Now, one more thing. I cannot garanty that this next issue I will tell you about will be the same in/for your coach, as it was/is in mine. 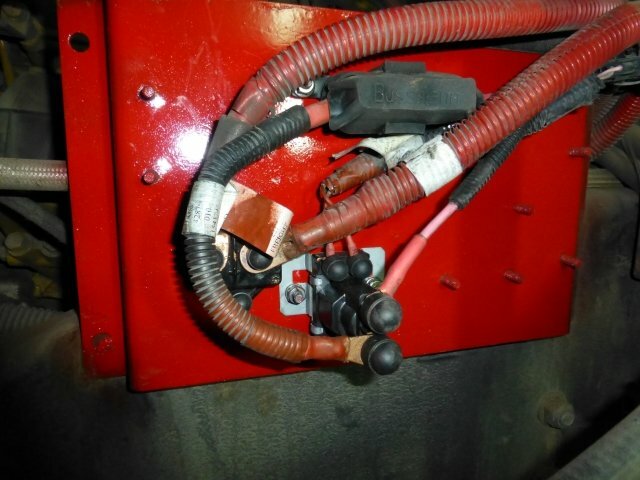 But, in our coach, located between the back side of the A/C unit and the frame/engine, is the Freightliner/CAT relay starting system wiring and relays. When that A/C unit is in place, it's incredibly hard to do any maintenance or, cleaning of any of those relays or connections due to the very tight proximity of the A/C unit to them and anything else. But, when the A/C unit is out for service, you have a great opportunity to do what, if any, maintenance/cleaning/checking of that starter relay system. You see, that system it located in an area directly behind the duals and, gets all kinds of stuff thrown up at it in wet weather, driving on wetted/salted streets and roadways etc. So, those components can get seriously corroded and rusted. If they go bad, due to those conditions, and need to be serviced, repaired and or replacement with the A/C unit in place, goooood luccccccckk. In the pics below, you'll see what mine looked like. I knew they were there and wondered: "How in the heck would I ever get to them to work on them"? But, quite a while later when I pulled the A/C unit, it presented an opportune time for me to clean things up. Again, not sure if your coach has the same components, in the same location. Pulling the AC unit seemed a bit intimidating before I did it but after reading other posts I pulled mine - didn't need help moving it out or back in. I think simpler than I initially thought it would be. As mentioned you'll need something to hold it up as it comes out and I did what Barry did, used an old flat four wheeled floor dolly that I had picked up from harbor freight years ago. Built that up with a few boards to the level of the RV opening and was able to slide it directly onto that device.